Elegant simplicity. 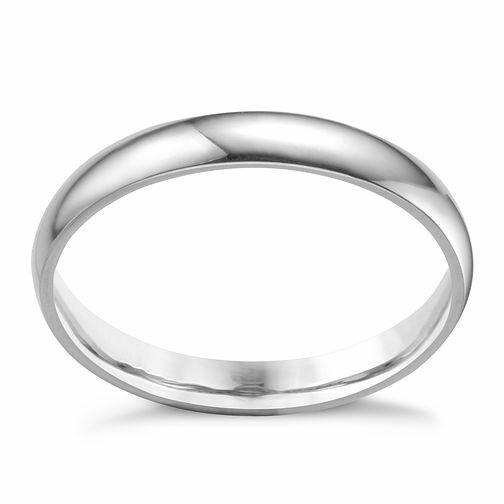 An extra heavy court shaped platinum wedding ring, crafted into a slim, 3mm band. A stylish wedding ring designed to mark the start of your new chapter. Platinum 3mm extra heavyweight court ring is rated 5.0 out of 5 by 1. Rated 5 out of 5 by Anonymous from Plain ban, that goes very well with my engagement ring Have a two 2mm engagement ring and wanted something to almost look like a set. This is perfect thanks.